267 feet of beautiful waterfront on pristine Dabob Bay. Lush forest setting and scramble down to nw pebble beach with oysters and clams. Set crab and shrimp pots just offshore or salmon fish from your beach. Remote and private, but only about 40 minutes to Poulsbo or Port Townsend or an hour and half to Seattle. 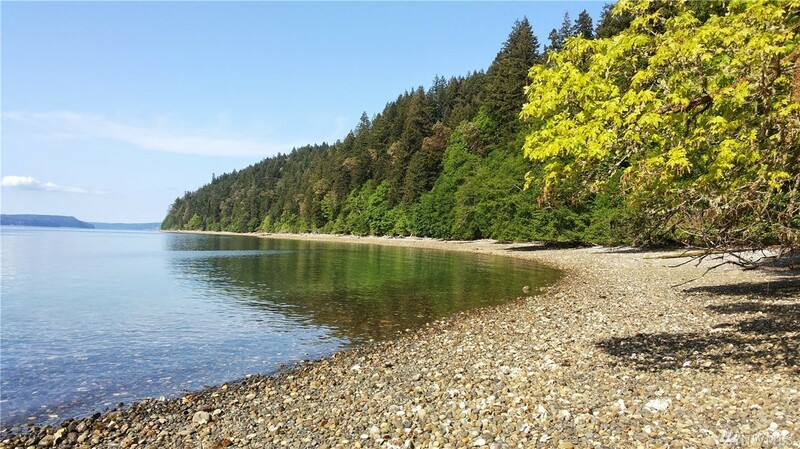 Wonderful and affordable off the grid NW beach getaway on the best spot on Hood Canal, Dabob Bay. Includes two parcels, 60132304 and 5.